The Highlands and Islands today are a magnet for tourists from all over the world, but go back a few hundred years and it was a very different picture. Then, the Highlands were remote and inaccessible. The locals were seen as primitive, warlike and barbarous. By the 1800s, views had changed and the Highlands were becoming fashionable. Sir Walter Scott and Queen Victoria made the Highlands popular. For sportsmen, the Highlands offered shooting and fishing, and for the climber, Britain's tallest mountains. The railways, and then the motor coach, opened up the Highlands and even the Islands to tourists, and soon all could afford to visit. Even today, from those who travel to the north and west of Scotland, the options are huge - from skiing to rock climbing, bird watching to island hopping. Some just go to view the scenery. 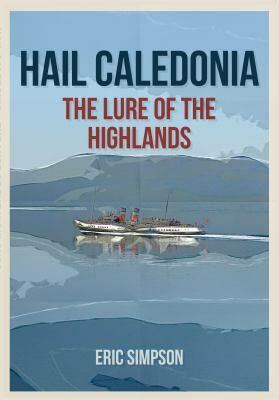 Eric Simpson's new book tells the story of the growth of tourism in the Highlands and Islands.